Manufacture Breitling movement, entirely developed and produced in the company workshops. This 1,962-piece limited edition is distinguished by its 24-hour display, its manualwinding mode – two nods to the original 1962 chronograph – as well as the Aurora 7 mission insignia engraved on the caseback. Navitimer Cosmonaute. The legend continues. The early 1960s were all about the space race. The Americans launched the Mercury program intended to develop manned flights. They were looking for a high-performance, accurate and reliable chronograph capable of withstanding exceptional conditions. 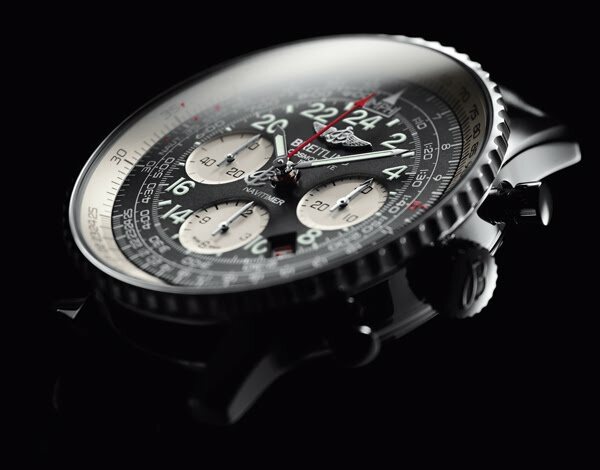 With this in mind, they naturally turned to Breitling, the “official supplier to world aviation” and a privileged partner of the finest hours in aeronautical history. 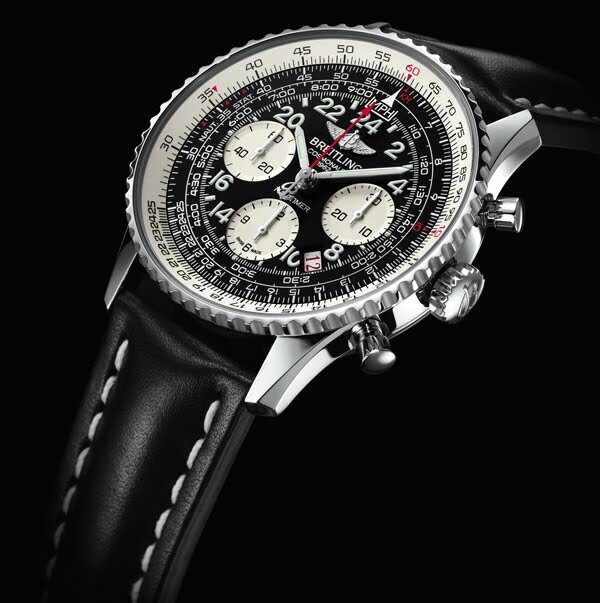 The Navitimer, the cult pilot’s watch created in 1952, with its famous circular slide rule serving to perform all operations relating to airborne navigation, naturally asserted itself as the ideal instrument in taking up this challenge. It successfully passed all the required tests, and on May 24th 1962, Lt Commander Scott Carpenter orbited the Earth three times aboard the Aurora 7 capsule. On his wrist was a Navitimer equipped with a 24-hour graduated scale serving to distinguish day from night – an absolute necessity in space. Mission accomplished. This was a major new token of recognition for Breitling, and this space conquest pioneer soon entered the brand’s collections under the name of Cosmonaute. The new Manufacture Breitling Caliber 02 powering the Navitimer Cosmonaute stands out by its 24-hour display and its manual-winding system – two distinctive features echoing the model that accompanied Scott Carpenter in orbiting the Earth. It was developed by the Breitling engineers and watchmakers based on Caliber 01, the world’s best chronograph movement, and is endowed with all the assets of this exceptional “engine” – including an original column-wheel structure, maximum reliability, security and functionality, unfaltering sturdiness and exceptional precision confirmed by a chronometer certificate granted by the COSC (Swiss Official Chronometer Testing Institute). Issued in a 1,962-piece limited edition, the 50th anniversary Navitimer Cosmonaute features a black dial with silver counters. The dial motif is created using the refined “par épargne” process on a sterling silver base, thereby guaranteeing the peerless radiance and readability of the indications. 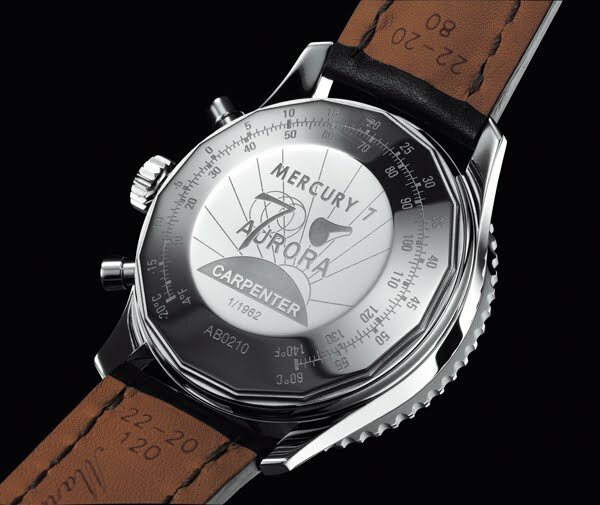 In addition to the Aurora 7 mission insignia, the engraved caseback also carries a Celsius/Fahrenheit conversion scale – another detail faithful to the design of the vintage Navitimer models. Manufacture Breitling Caliber 02, officially chronometer certified by the COSC, mechanical hand-wound, high frequency (28,800 vibrations per hour), 39 jewels. Over 70-hour power reserve. 1/4th second chronograph, 30-minute and 12-hour totalizers. Calendar. Steel, limited series of 1,962. Resistance to 3 bars. Bidirectional rotating bezel with circular slide rule. Barenia leather, crocodile leather/Air Racer (perforated) or Navitimer.